As family historians we are interested in developing our family trees, finding our roots, discovering as much as possible about where we came from and about the lives of our ancestors, whether on our maternal or our paternal sides or both. We may be interested simply in our own pedigree, ie our direct ancestors, or we may become interested in the wider tree and filling in all the branches, the twigs and the leaves covering several generations. Along the way, family historians may realise that the name which they are researching appears to be rather unusual or rare, or to have originated in one particular area. And that leads to wondering if all the people in the world with that particular surname are members of the same but rather widespread family. To those of us researching our Emptage family roots it already seemed that Emptage is not a common name but we needed confirmation. As part of the Llangynfelyn Digital History Project a searchable database was set up by Technoleg Taliesin Cyf, a Welsh company. To discover how common or rare a surname is, the website offers the opportunity to enter a name and discover how it ranked according to an extract of the Office of National Statistics containing names in use in England, Wales and the Isle of Man in September 2002. The list contains 270,000 surnames, shared by 54.4 million people and excludes those names which are shared by fewer than five people. Entering the name Emptage results in a count of 508 people who shared the name and a ranking of 11,239 in the list. Just 508 people, give or take any level of duplication on the list. 508 people out of 54.4 million people. That seemed to indicate that Emptage is indeed an uncommon name. And so the idea of conducting a worldwide one-name study began to take root (if you pardon the pun). Having been fortunate to make contact with several Emptage cousins of third, fourth or fifth degrees, occasionally a degree or two removed, I had already set about working out our common ancestry and that had taken me back to the census of 1841. Yorkshire: 3 in Filey, a widowed woman who was born in Greenwich, Kent and her two children. 10 people named Emtage: 5 in Thanet and 5 in Grimsby and 6 named Eptage in Woolwich. From later censuses and other records we established that these were incorrect spellings and that they were Emptages. 2 in Thanet who were named as Empton but who we think were Emptages. 4 mariners/sailors from Thanet who were presumably away at sea at the time of the 1841 census but present in 1851. 1 mariner from Sheppey who was presumably away at sea at the time of the 1841 census but present in 1851 and 3 other who were Awol but who reappeared later. 2 from Thanet who were not recorded on the census but who reappeared later. And so, across the country in 1841, there were just 152 Emptages. 2 from one other branch in Kent. Variations of our name could include Empton and Empty. Parish registers show that there were Emptons around the country both before 1841 and after. Plus, there were 11 people with the surname Empty around the country in 1841. As I demonstrate below, I think there is a distant connection between all of these surnames. Many of our ancestors were mariners. And mariners had a habit of meeting a girl in a distant port and moving there. The Isle of Thanet forms the eastern tip of Kent though the rivers which originally formed a navigable channel between the mainland and the isle have now largely silted up and very few people are now aware that the regional district of Thanet was originally a small island or isle. It includes the ports of Margate and Ramsgate. The Isle of Sheppey lies off the northern coast of Kent and is still recognisably an isle, with major road and rail crossings over the water separating the isle from the mainland. By today’s roads and cars, it will take an hour to drive the 44 miles from Margate in Thanet to Queenborough in Sheppey, so sailing there would have been a relatively short trip for our mariner ancestors. The earliest record we have for the Emptages on the Isle of Sheppey is William Emptage, who married Ann Bassett in Queensborough in 1746 and set up home there. Although we have not yet made the connection, it seems quite possible that William originated from the Isle of Thanet and met his wife when he sailed into Queensborough. Unfortunately for us, William was a popular name in the Emptage family, which makes identifying him rather difficult. It was his grandson James who, having become a coastguard and served in Sussex and Devon, became the Chief of the Coastguard in Filey, Yorkshire. James died in 1841 and it was his widow, Charlotte Messenger and two of their children who were noted on the 1841 census. Two of James and Charlotte’s sons married girls from the port of Grimsby, Lincolnshire (some 70 miles south by today’s roads) and established the Grimsby branch of the Emptage family. They were noted on the 1841 census as Emtage but by 1851 the spelling was Emptage. The two Emptages living in Portsea were another William and his wife Susannah, retired and of independent means. Although both were shown as born in Hampshire, it seems that William was originally from the Isle of Sheppey. Of the parish register entries so far digitised (as at January 2017) the earliest Emptage baptism was in 1560 in Margate, Thanet. The earliest marriage was in 1565 in Margate and the earliest burial was in 1571, a few miles along the Kent coast, in Whitstable. So it is clear that the Emptages were already in Thanet in 1560. The Kent History and Library Centre at Maidstone holds the county’s archives, including a large collection of wills. We are currently transcribing 95 Emptage wills, probate accounts and inventories, dated between 1489 and 1732, all from Kent, most from Thanet including the earliest. They include some bequests to Emptages from other people or mention of Emptages in other wills. It is frequently said that William Shakespeare never spelt his name the same way twice. As a child I could never understand it. How could such a brilliant writer not know how to spell his own name? But, of course, I was growing up in a world of standardised spelling. Unfortunately, family historians know that the further back in history we go, the more variations in spelling there are likely to be. Parish register entries, which date from the mid 1500s, are proof of the variations in spelling. People knew their own name but not necessarily how to spell or write it. The people who could write, such as vicars and lawyers, wrote what they thought they heard. And if they were not from the local area, they might be confused by local accents or dialects. At first it appeared to us that the name Emptage could be an anglicised version of a name from the European continent. And this seemed borne out by the spellings of the name on the wills include Emptrach, Emptiach, Empthyach, Emptiage before settling down as Emptage in 1557. Given Thanet’s proximity to the coast of Europe, we thought that it was possible that the family came here as Huguenot refugees, either from France or what is now Belgium and Holland. However, the first Huguenots arrived in Sandwich in 1561 and a second community began in Canterbury in 1567. Eleven of the wills predate 1561. Of course, the name could have originated with earlier French immigrants, such as when William the Conqueror arrived with his Norman knights. But if so, surely we would find evidence of the name in France or elsewhere on the continent, unless all the members of the family came here or the family has died out. So far we have found no such evidence and it is possible we were here long before the Norman conquest. People did not have hereditary surnames then. They were known by nicknames. They would be referred to as the man living by the bridge, or the one living over there with red hair. As the population grew, there was the need to be able to refer to people more precisely and so there would be names attached to a description: John the miller, Mary of the wood, John the son of Jack. After the coming of William the Conqueror in 1066, the Normans introduced surnames and those earlier nicknames gradually evolved into the surnames which we know today and so John the miller became John Miller, Mary of the wood became Mary Wood and John the son of Jack became John Jackson. place name: Sutton or Flint. Those are the easy ones to understand. Unfortunately, the origins of some names are lost in the mists of time. By the 1400s, most English families had adopted the use of hereditary surnames with new ones continuing to be formed, especially as new immigrants arrived. 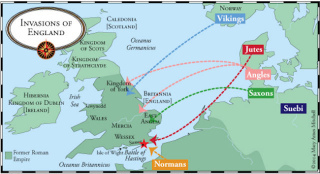 If we were here before the Norman Conquest, where did we originate from and how did our name originate? the Romans had defeated Kentish tribes in 54BC and began their conquest of Britain. It took hundreds of years to subdue the Britons (but never the Scottish) and achieve peace. But following problems in the Roman empire, they began withdrawing from these islands in 407. Prior to the Romans were the Celtic Britons. And so back to around 500,000 BC when the first settlers, Homo Erectus, are thought to have crossed what was then a land bridge between Britain and Europe. The DNA Study has given us a strong indication that we originated with the Jutes but what about our name, Emptage? With a lack of standardised spelling, compounded by strong accents or dialects and people from other areas or even countries trying to understand and write down what they thought they were hearing, we have the recipe for mis-communication and the cause of many a family historian’s headache. As my brother always says when I’m struggling with names in family history, “listen to how it sounds, don’t look at how it is spelt”. Kent was an early medieval kingdom, said to have been formed in the 5th century by Jutes (members of a Germanic people) who had settled in Britain after the withdrawal of the Romans. It was one of the seven Anglo-Saxon medieval kingdoms which eventually united into the Kingdom of England. 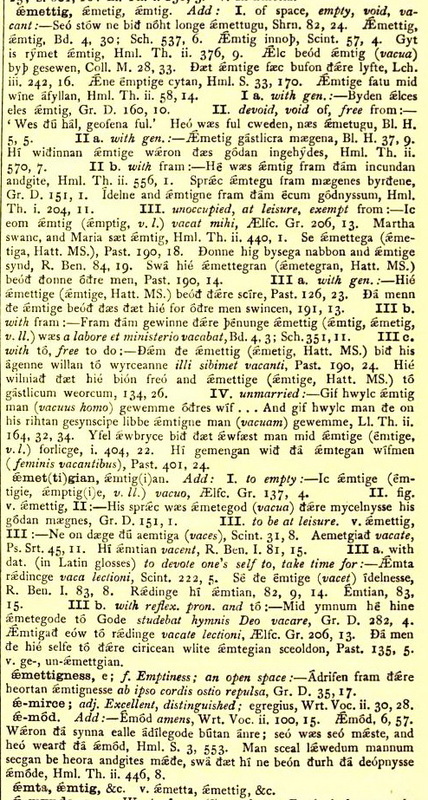 æmettig is the word which we now use as ’empty’. æmettig appears to be pronounced in the way we pronounce our name and from æmmitig to Emtige or Emptage is not a great leap. I have seen our name spelt with and without the p.
And so, I am hazarding the theory that the name Emptage is topographical and refers to somebody who originally lived in a open empty space on Thanet. And that the names Empton and Empty are likewise derived from the same Anglo-Saxon word, probably used elsewhere within the country where people lived in open, empty spaces. As regards the apparent French spelt versions of the name, when William Conqueror arrived on these shores he brought rather a lot of Normans with him and the language of court and officialdom became French for many years, with Latin used for documents. 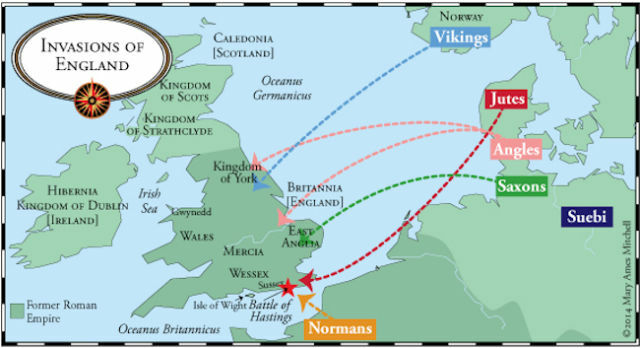 Plus, for political expediency, some people dropped their Anglo-Saxon names and changed to Norman ones whilst others retained their original name but made them look Norman. Hence, whilst the sound of the name remained the same, the spelling changed. So, it seems to me that somebody whose language was French would write ‘aemettig’ in the way they heard it, and so we have Emptig, Emptiach and variations on the sound, finally settling on Emptage. This theory was first brought to my attention by Andrew Emptage and I think it is highly plausible. Even before I knew about the possible Anglo-Saxon connection, I had already come to the conclusion that the Emptage family originated in Kent, most probably in Thanet, and that it is worth pursuing the members of the Emptage family not only beyond the Isle of Thanet, into Kent and into the rest of England but also into the wider world. 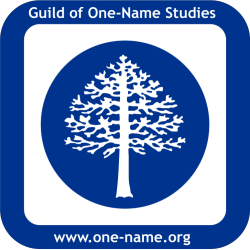 And that is why I registered Emptage with the Guild of One-Name Studies in January 2014. David Emptage, Tim Emptage and I are all members of the Guild.